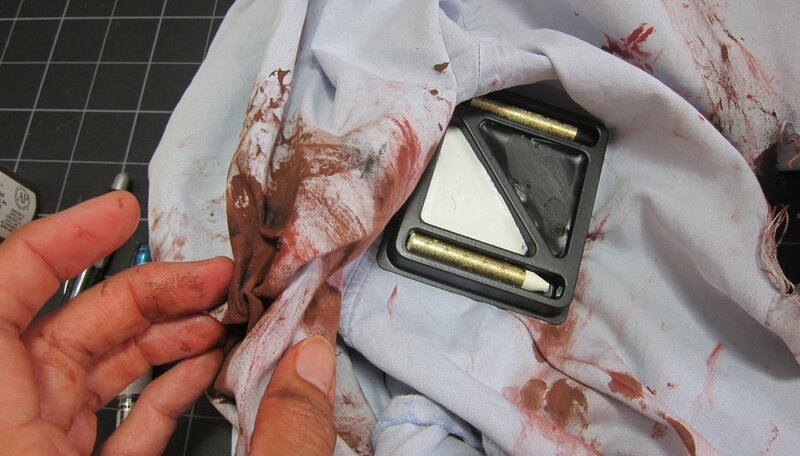 Take your sponge brush and brown craft paint and "bloody" your shirt and pants in strategic areas. Add layers of "dirt" by adding smudges of black face paint and fake blood. Clean dusty areas of the house with your clothes if you don't mind it being for-real dirty. Zombies are, after all, coming out of the ground. 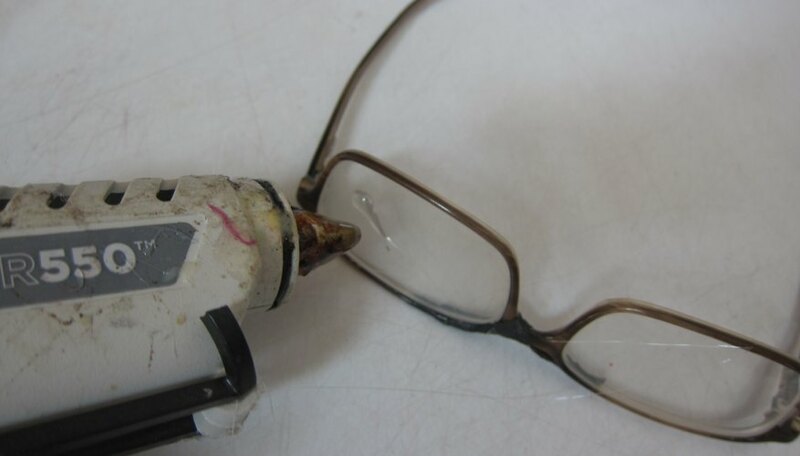 Take your hot glue gun and make "fracture" lines across your lenses. This will rub off easily when you are done being a zombie. You can also add a piece of duct tape around the bridge to to make your glasses extra nerdy. Insert the antenna tops into the middle of the book. Mark the space where the book hangs over the headband, then cut all the pages and cover away. Lift up most of pages leaving just a few on either side of the antennas. Using two pieces of duct tape, sandwich the small layers of pages closest to the pages on the other side of the antennas with the tape. 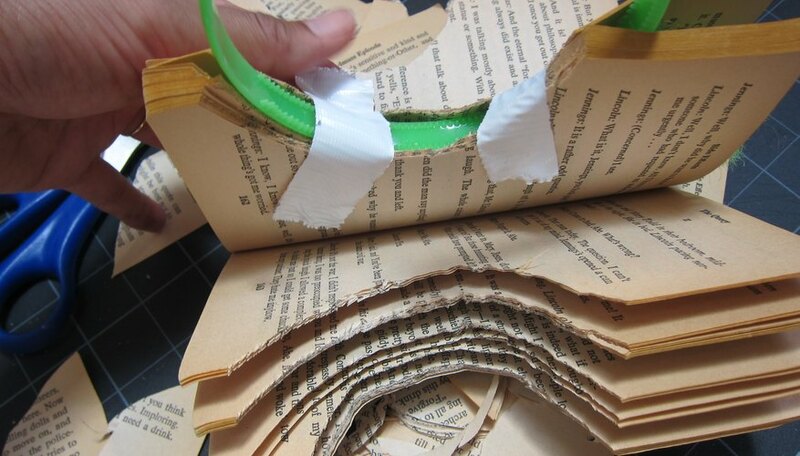 Hot glue or glue stick the pages together so they cover the duct tape and stays closed. 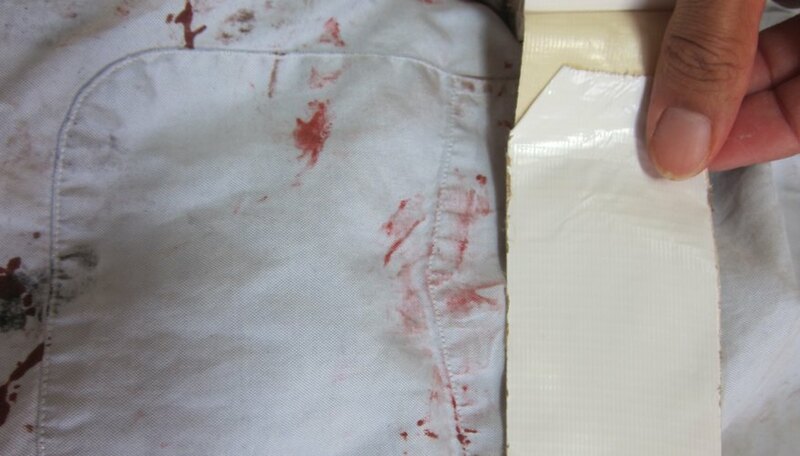 Smear a little fake blood on the book to give it some character. 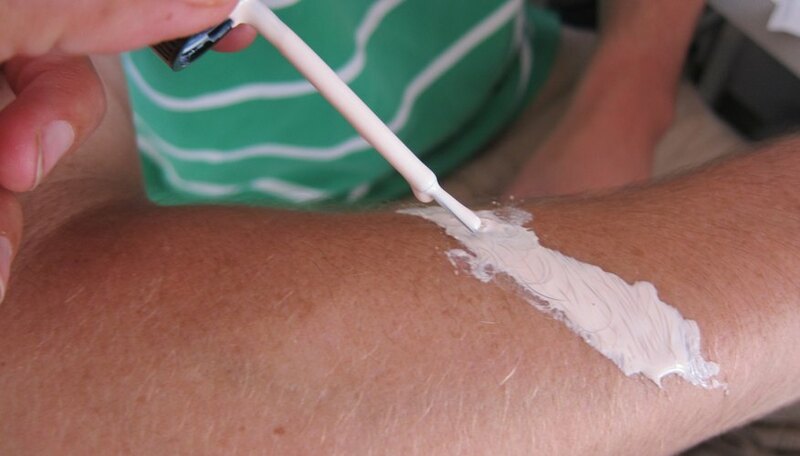 Paint patches in thin layers of liquid latex on your body and face. Add a thin layer of facial tissue creased in areas, another layer of liquid latex, then sprinkle oatmeal over the wet liquid latex. Dabble fake blood over the oatmeal with your sponge. Draw a black line around the blood to make the flesh look rotten. 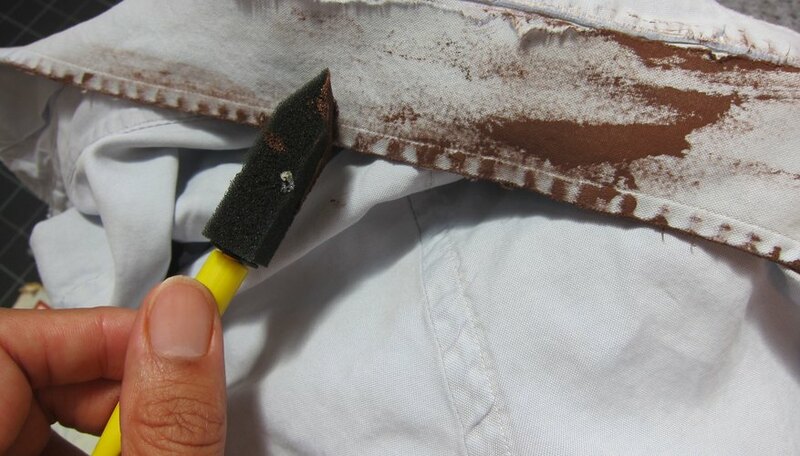 Measure the pocket of your shirt, then double a piece of white duct tape the width of the pocket. 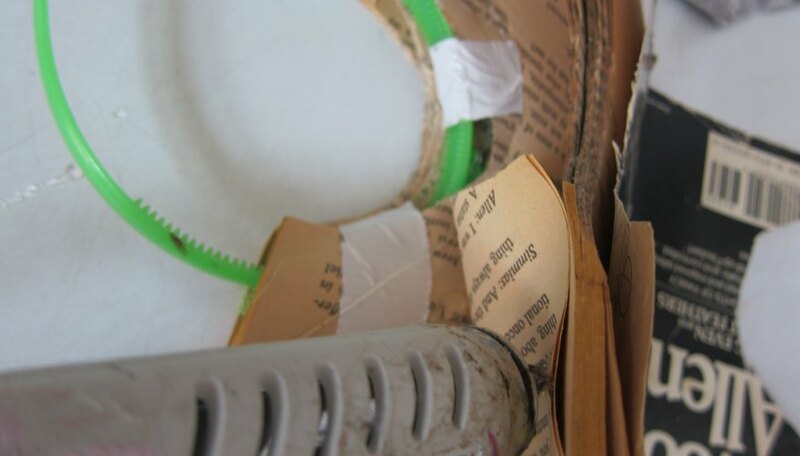 Fold the doubled duct-tape in half widthwise and round the corners with your scissors. 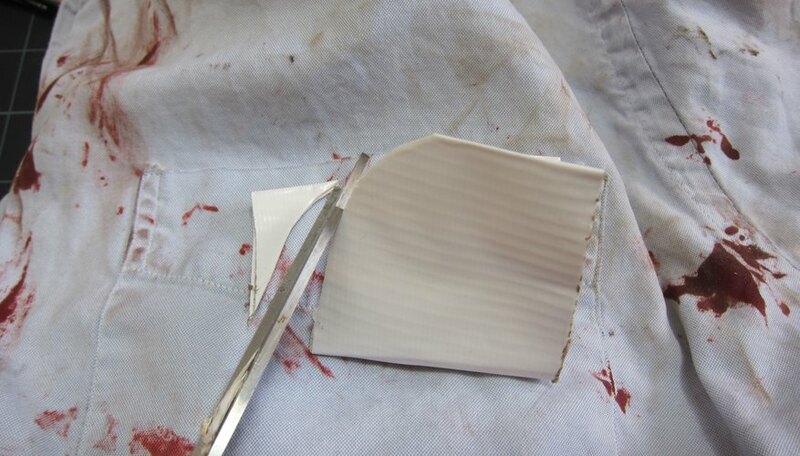 Fold the back half of the rounded cornered duct tape over the top of the pocket. Tape another piece of tape across the back of the pocket. Stick some pens in the pocket and your pocket is properly protected. 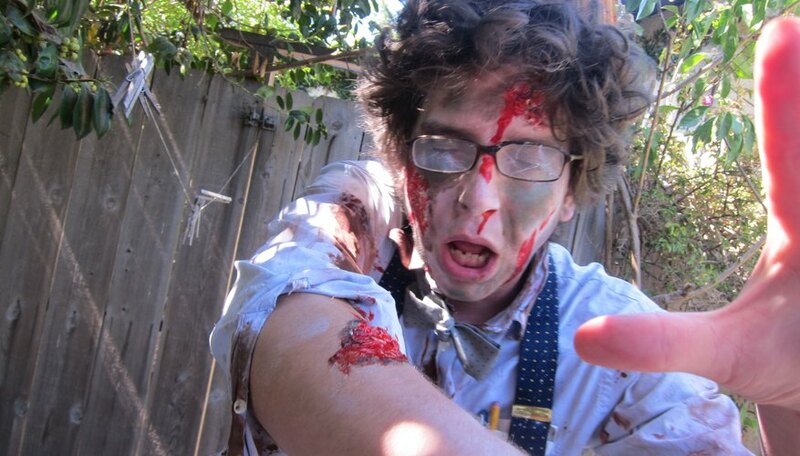 Put your zombie outfit on, including your bow tie and suspenders. 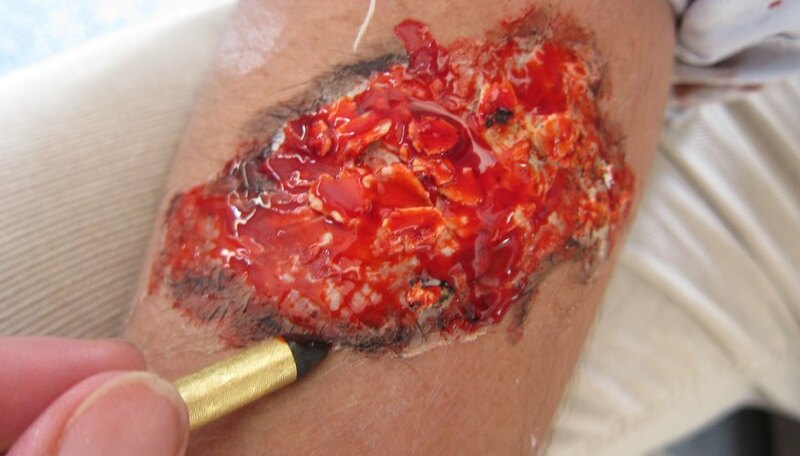 Using your white makeup, cover your exposed skin with it, avoiding your open wounds. Add patches of brown, green, and blue "bruises" here and there with your powder eyeshadow. 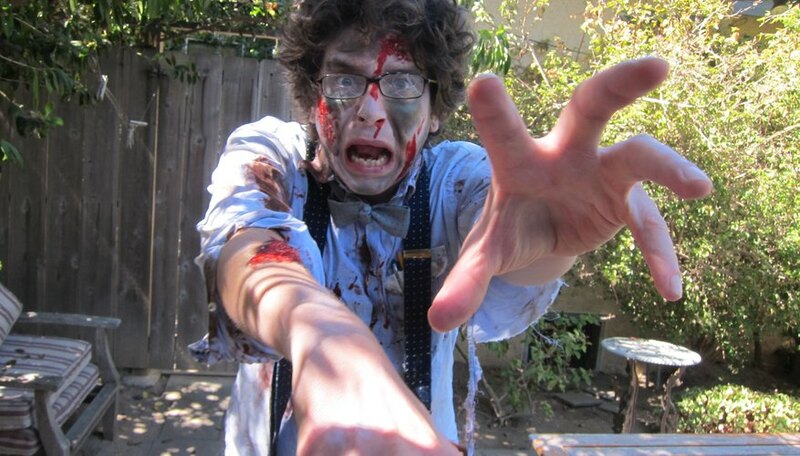 Use your black makeup around your eyes to make yourself extra zombie-fied. Place your book headband on, add baby powder to your hair, and hairspray your hair up and big to cover your headband and the bottom of the book. In zombie-land, attitude is everything. You need brains to live, even dead, so go on and get them! Act the part and you will be in for a night of fun. Sonya has written two books, "Beadalicious" and "Just for the Frill of It." She contributes to arts and crafts books and magazines, and has appeared on a variety of television shows.